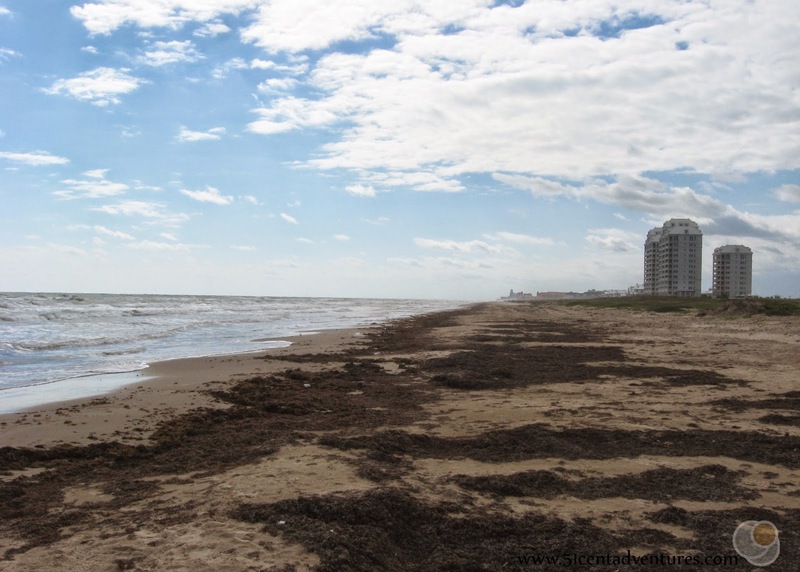 Description: South Padre Island beaches are famous for their white sands and clear blue ocean water. What's not so well known is that most of the beaches are free. The beaches that do charge an entrance fee are only $5.00. If you are looking for an inexpensive vacation destination it really doesn't get any better than a trip to the beach. Location: Off the coast of the southern tip of Texas. Cost: All of the city beaches on the island are free. However, the three county beaches have $5.00 entrance fees. Those beaches are, Ilsa Blanca Park at the southern tip of the island and Andy Bowie Park and Edwin K Atwood Park which are both located north of town. Operating Seasons and Hours: Open all year. Peak times are during Spring Break and Summer. 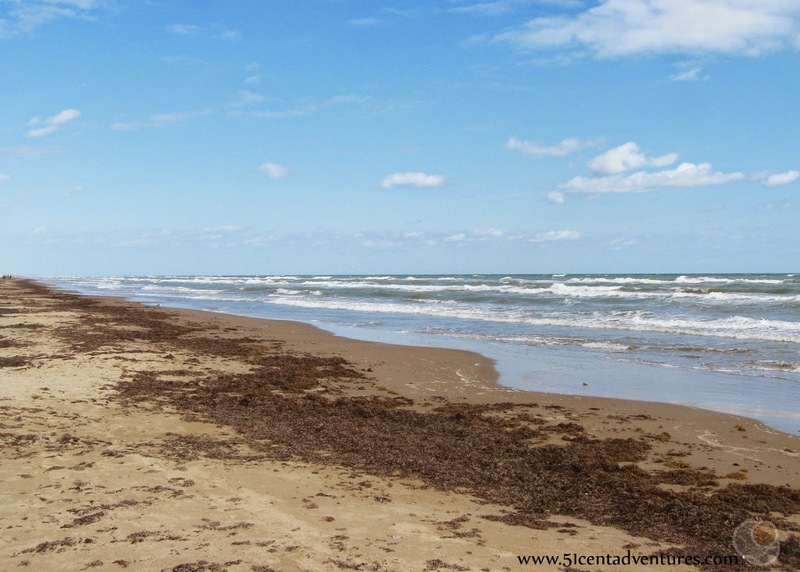 This was the second stop on the second day of the Texas Coastline Road trip that my husband and I took our family on in November of 2014. We left the Port Isabel Lighthouse and drove across the Queen Isabella Memorial Bridge to South Padre Island. I'd had less than 2 months to plan this trip, and so I never had a chance to find out how much it would cost to visit the island's beaches. I assumed we would pay about $8 because that was about how much we paid to visit Stuart Beach on Galveston Island earlier in the year. I figured that even if we didn't have to pay a fee to access a beach we would have to pay for parking. As we drove around the island looking for a beach to visit I began to realize that most the beaches - and their parking lots - were free. It was a very nice surprise. 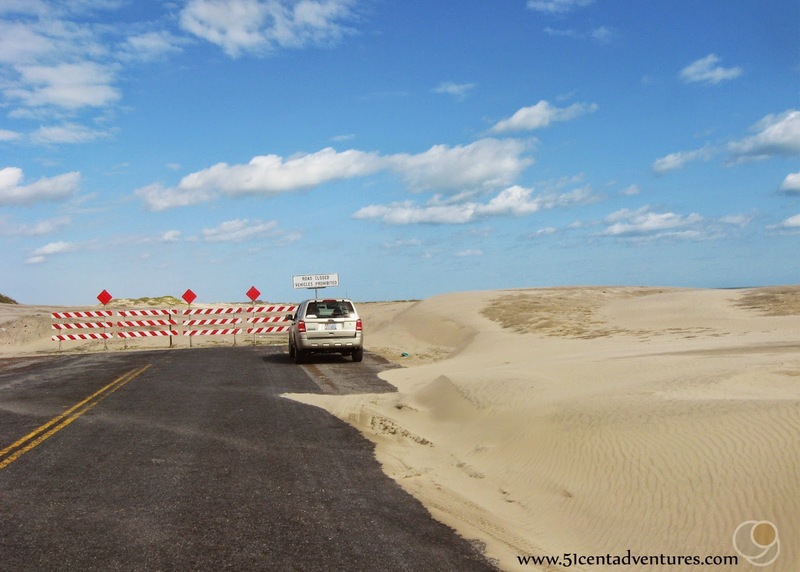 Unlike other ocean front communities that I've visited, South Padre Island doesn't have a road that runs along the edge of the beach. Instead there are houses that are built along the beach front. Gulf Boulevard is on the other side of the houses. There are beach access points that branch off from Gulf Boulevard every block or so. Each beach access has at least 10 parking spaces. Several of them have picnic tables. Some even have restrooms. I wish that I had made a detailed catalog of what is available at each spot, but unfortunately I wasn't thinking about the specifics of this blog post. I was just trying to find a beach where my family could play. We saw several promising places to stop, but we wanted to see more of the island first. 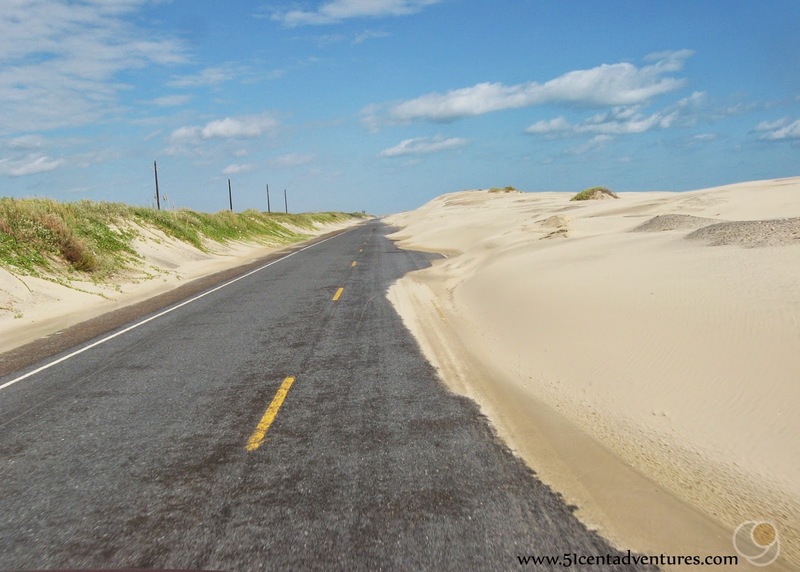 So we got onto South Padre Boulevard which is the island's main road and continued heading north. The houses and businesses began to disappear as we left the city behind. We felt like we were leaving civilization. The fact that part of the road was covered with sand added to that feeling. Soon we came to the end of the road. But it wasn't the end of the island. If we had wanted to we could have driven onto the beach at either Andy Bowie or Edwin K Atwood Park. 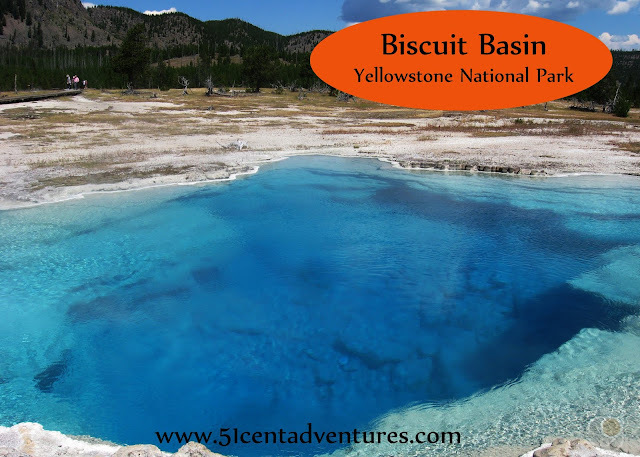 The entrance fee of only $5.00 would have allowed us drive north on nearly 25 miles of sand. If we really wanted we even could have camped on the beach for free. As fun as all that sounded, it wasn't something we wanted to do on this trip. So we turned around and went back to a place we'd seen earlier. We went to beach access #4. We liked this one because it was far away from the city. We were there in November and so there were only a few other cars in the parking lot. I'm sure if it was summer time it would have been a lot more crowded. We hurried to get our kids changed into their swimming suits and covered in sun block. Once they were out of the car our kids had fun playing with the sand in the parking area. This was only the second beach they'd ever visited in their lives so they were pretty excited. Then we walked out to the real beach. It was beautiful. Looking to the north there was nothing but beach. The sand wasn't quite as white as I imagined it would be, but the water was just as blue. I was in awe of the weather. I'm from Utah where it's usually snowed at least once by Halloween. When we'd driven out of our home in Fort Hood Texas the morning before it was unseasonably cold at 34 degrees. So I was loving the fact that the air on South Padre Island was at least 75 degrees and it wasn't even noon yet. This was easily the warmest November 2nd I'd experienced in my life. Looking to the south there were some high rise condos, but they were far enough away that we didn't feel crowded by them. I loved watching the waves wash onto shore. My husband and I had hoped that at least some of our children would enjoy playing in the ocean, but instead they were all terrified of it. They were also scared of the seagulls that would fly close to us to try to get some of our snacks. We'd only been there about 20 minutes when one of our 4 year old twins asked if we could leave. This is one of the reasons we like to do free things, that way when/if our kids decide they don't like something we aren't upset about wasting lots of money on them. Our one year old wasn't afraid of the seagulls. In fact, she enjoyed chasing them. 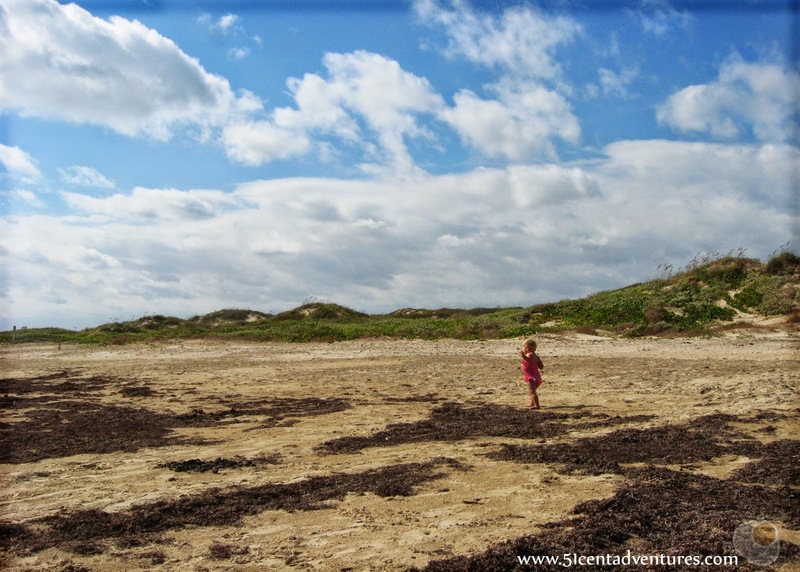 She toddled around the beach and made screeching noises at the birds. Recommendation: I highly recommend South Padre Island as a place to visit. If flying to some exotic island isn't in your budget, a trip to South Padre Island is a great alternative. The weather is nice all year long and the beaches are beautiful. The fact that you can pay nothing to visit the beaches makes this place even better. Directions: You can drive to the island or fly to Brownsville International Airport which provides shuttle service to the island. If you do drive to the island you should be aware that it is a long drive. There is NOTHING along Highway 77 for at least 50 miles. If you travel south from Kingsville be prepared to hardly see any signs of civilization until you reach the outskirts of Raymondville. You will see many large windmills along the coast to the east, but that's about all you will see. After you get to Raymondville stay on Highway 77 until you can get onto State Park Road 100. This will take you east and eventually out to the island, but be prepared for it to still take about an hour to get there. Additional Information: We stopped at the Visitor Center when we first arrived at the island. I grabbed a guidebook with a map of the island. The guidebook talked about the history of the island. One of the articles that caught my eye was the story of John Singer's treasure. John Singer was a wealthy resident of the island who was forced to leave during the Civil War. He buried his fortune, rumored to value $60,000 to $80,000, before he left. 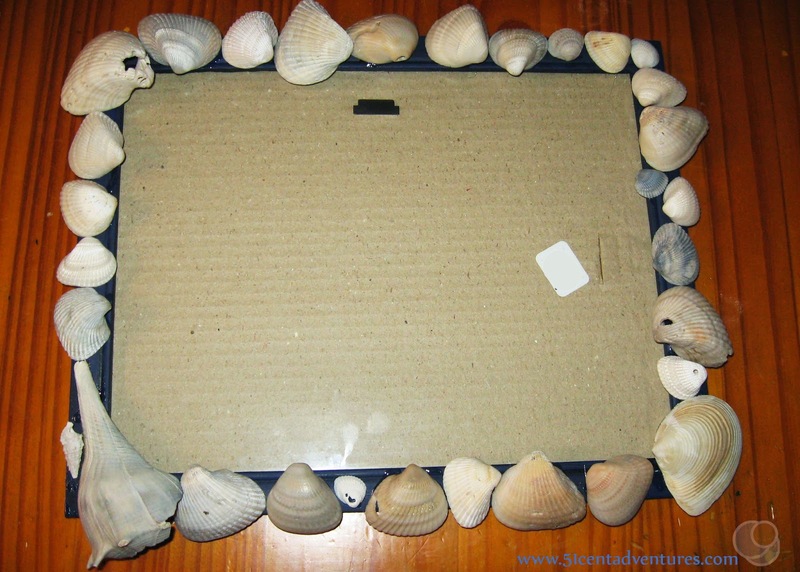 When he returned for it several years later, he was unable to find his cache site. The treasure is still lost to this day. Read about the details of this story here: http://www.legendsofamerica.com/tx-treasure3.html. 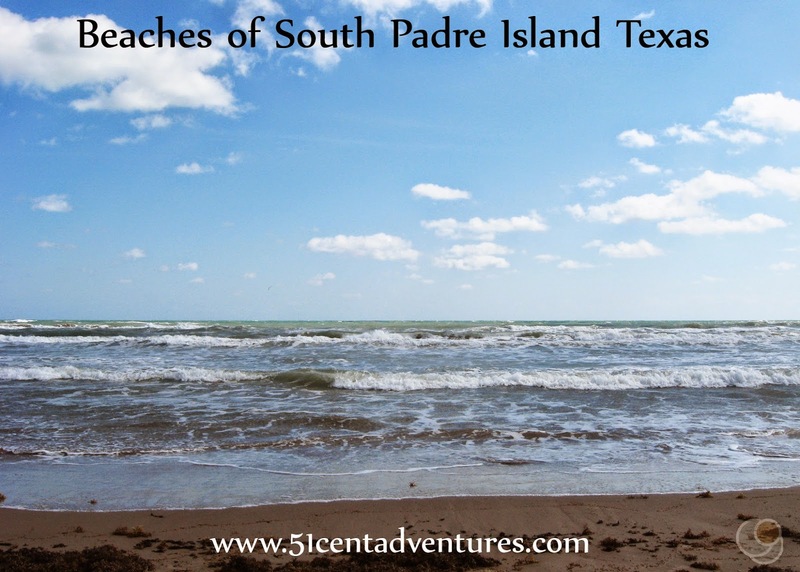 Places Nearby: There is much more to South Padre Island than just free beaches. If my kids were older I would have loved to take them to the Schlitterbahn Resort and Waterpark. 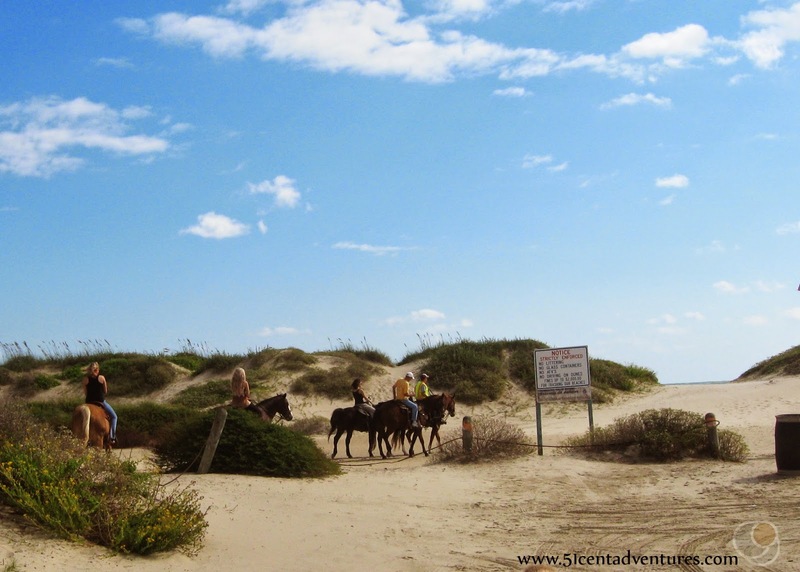 If they were a lot older we might even have tried the Horses on the Beach activity provided by South Padre Island Adventures. We watched some people go by on horseback and my kids were intrigued by them. Another thing we would have done if our kids were older was to camp at the Ilsa Blanca Park. Tent camping there is $15.00. The park is located at the very southern tip of the island. The tent sites are located within feet of the ocean. That would have been spectacular if we were camping with teenagers. However, it seemed like a recipe for disaster for camping with four children ages four and under. So camping that close to the water's edge went into the "maybe next time" column. 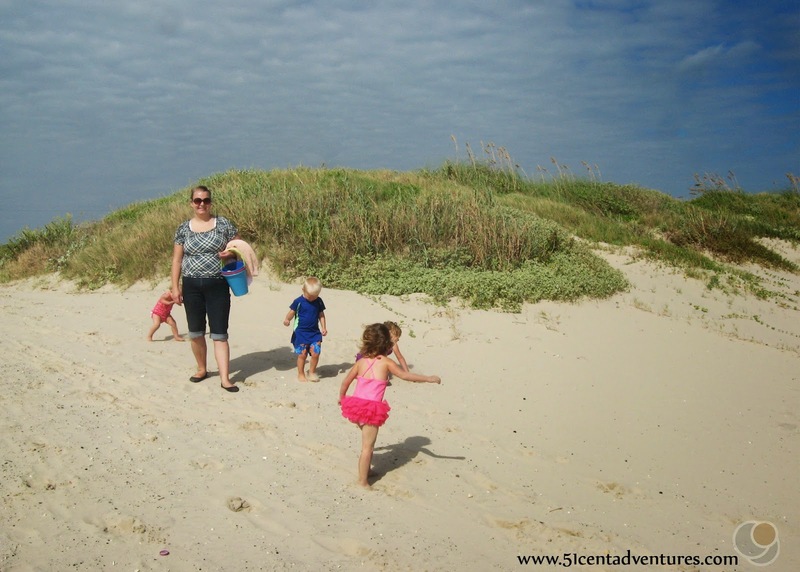 We ended up camping at one of the tent sites in the Park Center RV Park in Port Isabel.